Kimberly Austin was referred to me for a new website design and she quickly became a dream client with an ideal project. 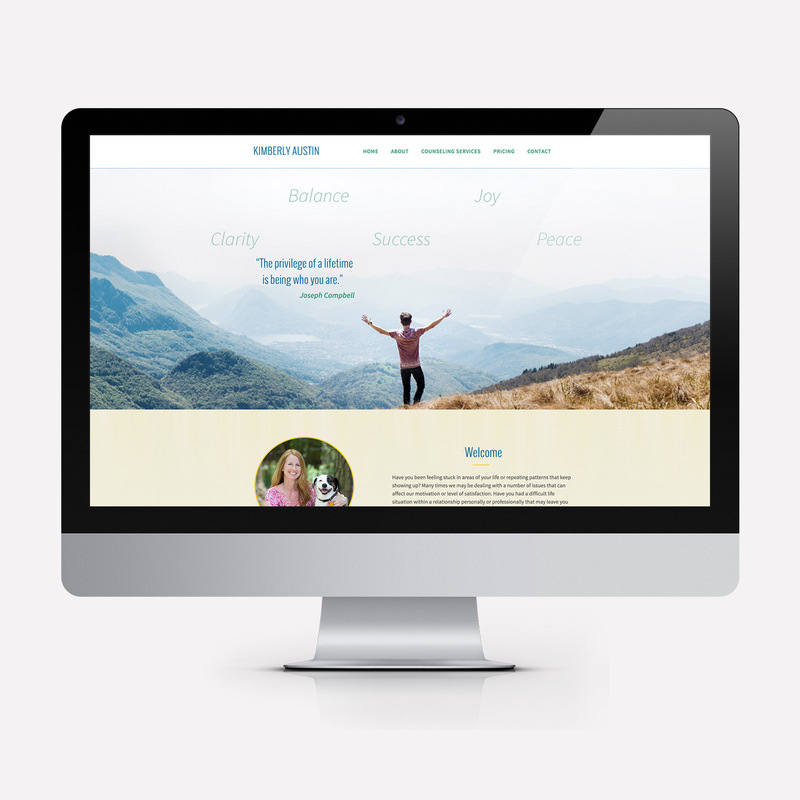 She was starting her own therapy business and needed a cost-effective website. We believe this project was so successful because she came to us with her content ready to go and a vision for how she wanted the site to feel upfront. A one page scrolling site design was the best and most cost-effective solution for her and we coded it to be responsive as well so it was easily accessible to all users. The light, airy and uplifting design fit her personality as well as how people would feel when working with her. Are you looking for a designer to help you with a custom website?